Been playing this game on Google+ and recently it was released for the Android and iOS platforms and I have been playing with it on my phone every single day. It’s so amazing it’s… amazing. 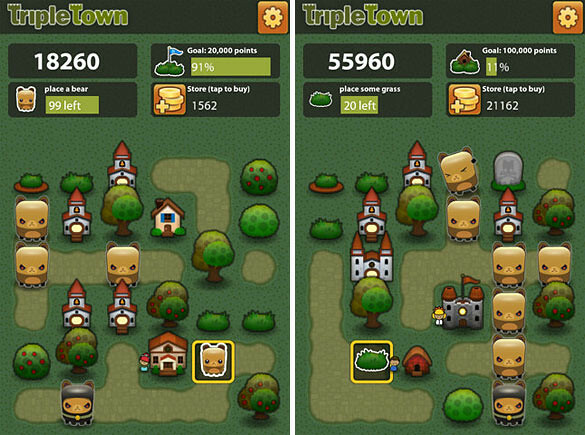 Triple Town is a very straightforward matching game, but don’t judge it by how it looks. It’s subtly addictive and uses your brain power without you even realising it. The game is all about matching things in groups of at least three. Usually in puzzle games, the blocks will be removed once you have matched 3 or more elements. On Triple Town, they get transformed into something else. 3 small grass patches = 1 big bush. The difficulty increases when the yellow bears appear. They move around and matching them will form graves. 3 graves form a church. 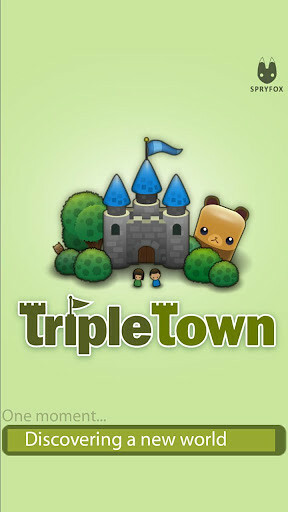 Triple Town is a freemium game, which means you can play it for free for as long as you want. You also have the options to purchase coins in the game itself to buy bushes, houses, etc.